In Cocoon, you can add tags to one or more files. 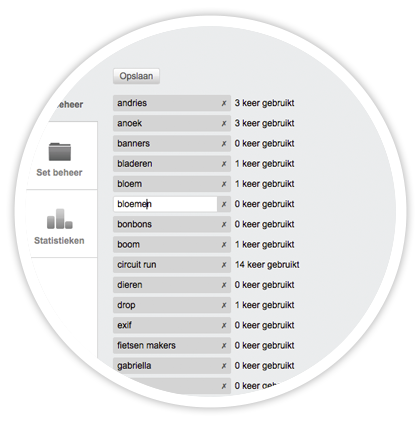 Tags are like keywords or labels that enable you to quickly locate media files in the cloud. A Tag is a label with keywords that you can link to a file. You can attach several tags to a file, which makes it easy to find. You can link existing Tags while editing a file and you can also change or delete existing tags through ‘Tag Management’. 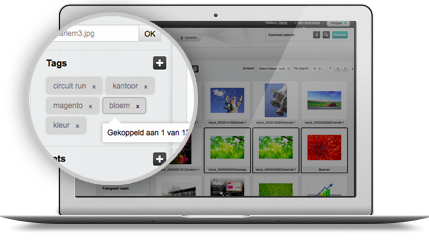 Tag management allows you to add Tags or change or delete existing tags while you are uploading your files. Do you want a personal Cocoon? Cocoon has many features. Maybe you will not need all the available features. So decide which modules you want to activate.